CBP Regulations : Pro Forma Invoice? As an importer you are required to file a commercial invoice with the U.S. Customs and Border Protection when your shipment arrives at a U.S. Port of Entry. It is used to classify and appraise the goods for duty, as well as, admissibility purposes. 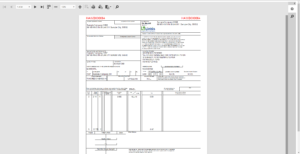 These invoices can either be electronic or on paper. If a commercial invoice is not available at the time your merchandise arrives at the port and you are unable to file it, you as an importer are required to file a statement that is in the form of an invoice, also known as pro forma invoice at the time of entry. The invoice must contain adequate information about your merchandise so that CBP can determine customs duty of your shipment. A pro forma invoice is not created or sent by the exporter but it is certainly of interest to them as it provides them a general idea of the type of information that CBP requires for entry purposes. The invoice may also be needed for statistical purposes. It should be produced and filed within 50 days, a duration set by CBP. A pro forma invoice tells importers the kind of information they are required to furnish at the time a formal entry and file it with the CBP officers. 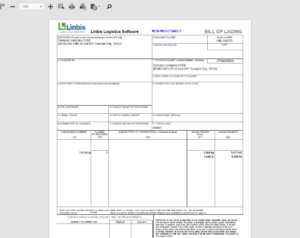 After receiving the pro-forma invoice from the seller, the buyer then sends a purchase order from the shipment software or a letter of credit to the seller. When the letter of credit is received by the seller, he arranges to ship the goods. The seller also creates a commercial invoice at this point.